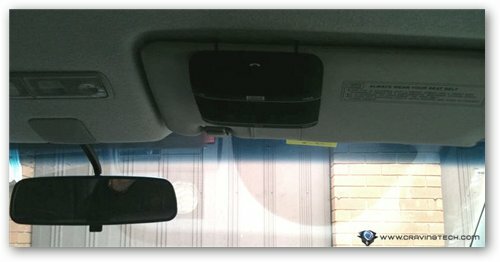 If you are not comfortable for having a Bluetooth headset dangling over your ear while you drive, how about hooking it up on the car’s sunshade? Jabra FREEWAY is a great companion when you need to make/receive calls while you drive or even when you are not too happy with your in-car stereo sound. 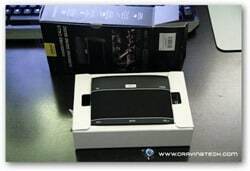 Jabra FREEWAY is an in-car speaker phone with Bluetooth connectivity (to connect up to 2 devices at the same time), 3 speakers producing high quality output, a Virtual Surround sound (not too sure I can feel the virtual surround but the audio clarity is definitely top notch), and even a motion sensor so you don’t ever need to turn it off and on. 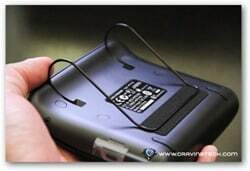 Simply leave the Jabra FREEWAY on the sunshade and it will detect when you are in or out of the car. In practice, I don’t really feel safe leaving my Jabra FREEWAY on the car’s sunshade though. 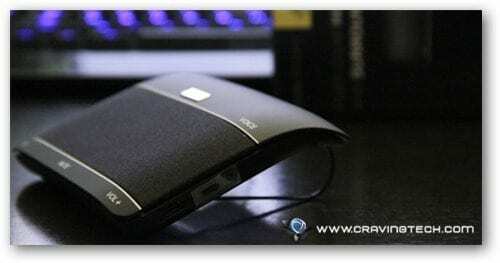 I really like the audio quality of the Jabra FREEWAY especially for music listening. The volume output is quite strong and the audio clarity is clear (both for music and phone calls). In fact, if you think that you are not going to travel as much this month, you can use the Jabra FREEWAY as a portable speaker phone at home! 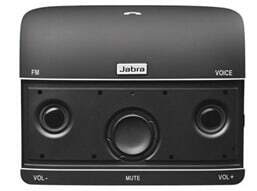 Jabra FREEWAY has an FM transmitter so you can hook your music up to your car’s sound system. Since Jabra FREEWAY can be connected to your phone, iPhone’s GPS navigation app sounds better and louder than ever – you literally don’t ever need to have a glance at your phone ever again since you can hear the driving instructions more clearly now. Unlike older Bluetooth speaker phones, Jabra FREEWAY fades the music out when a call or message comes in, so you don’t have this abrupt cut-off which is unpleasant. 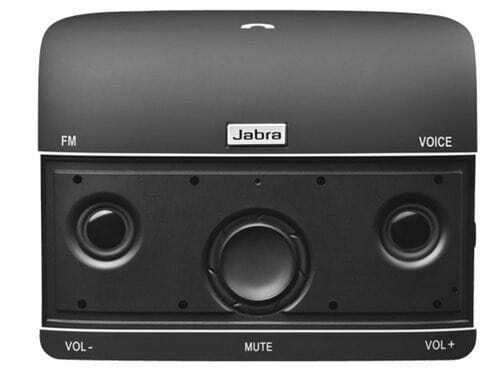 Controlling the Jabra FREEWAY can be achieved via the hard buttons and also through voice control. The volume control buttons are located in front along with the FM and Voice button. This Voice button needs to be pressed whenever you want to say a command to Jabra FREEWAY. Once pressed, the “Say a command” voice greets you before you can say a command to it. I would personally prefer Jabra to change this into a short beep or something shorter as it will be more productive that way. When I first tested it, I had a tendency to speak too quickly before that “Say a command” ends and I then had to repeat myself again. Voice commands worked perfectly apart from having to make calls. Often my phone ended up calling someone else than intended – but this happened before I even used the Jabra FREEWAY, so this is more like my English accent’s fault. Apart from that, you can make calls, pick up calls, check the battery, and even control your music with the Jabra FREEWAY. When a call comes in, Jabra FREEWAY announces the incoming caller’s name so you don’t have to take your eyes off the road to have a peek at your phone who the caller is. According to the specification, Jabra FREEWAY allows up to 14 hours talk time and up to 40 days standby time – which is plenty of time before you have to recharge it again for your next journey (USB and car charger cables included). 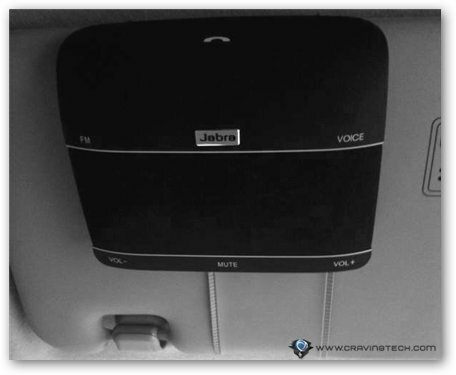 If you are looking for a great quality in-car speaker phone, I’d recommend the Jabra FREEWAY. It has looks, long battery life, and most importantly, loud and crisp audio quality.